The Best (Semi-Homemade) Biscuits You’ve Ever Had! Well, not quite. But they’re just as tasty. These biscuits look homemade, don’t they? Well, they are…Semi-homemade. 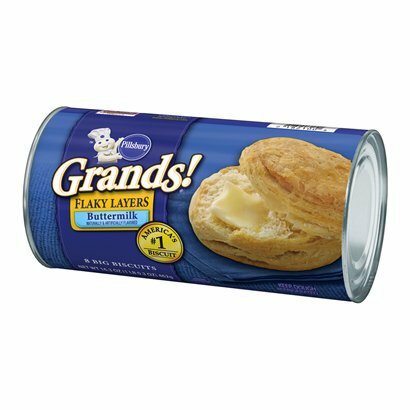 Grab yourself a can of Pillsbury Grands Flaky Layers Buttermilk biscuits. Instead of baking them on a cookie sheet like the directions instruct, arrange the eight biscuits inside a 9-inch cake pan. Seven should form a circle around the edge and the last one should fit into the center. You may have to squeeze them in there a bit, so don’t worry. 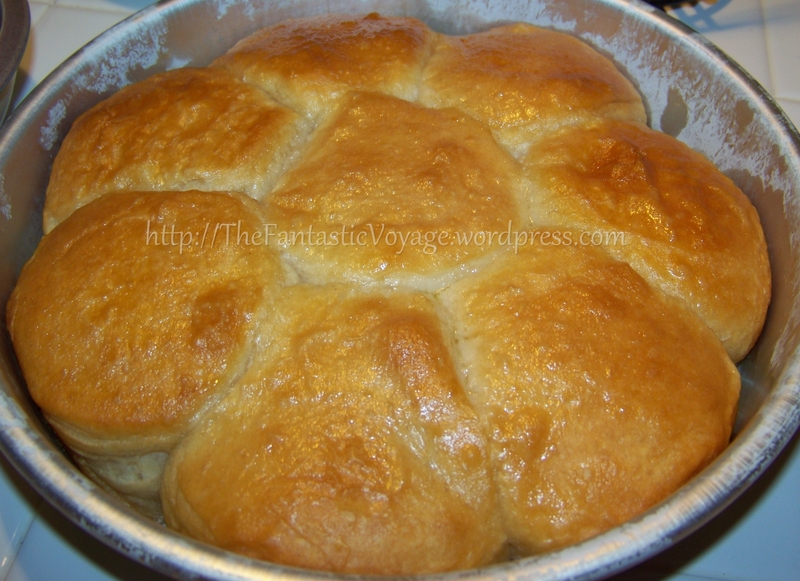 Bake them in a preheated oven at 350 degrees for 20-22 minutes. When they come out of the oven, try not to eat them or spend too much time ogling them. Instead, spread some butter across the top of the biscuits while they’re still warm. It will give them a nice sheen, an even more irresistible aroma and a taste to die for. I promise you, they will be a hit at your dinner table.